We have chosen to set aside this time to celebrate God’s many blessings to us as a congregation. 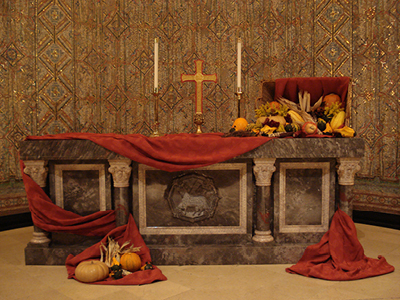 Join us for Thanksgiving Eve Worship on Wednesday, November 21, at 7:00 p.m. in the Sanctuary. The Reverend Todd E. Leach will preach. Please bring a food donation (learn more here).